The global kidnap industry is booming and no longer is the focus predominantly on Latin America. It is prevalent throughout the world and for a successful kidnap, hostiles will normally conduct some degree of pre-attack intelligence gathering. The early and covert identification of this intelligence gathering by security teams can significantly minimize the risk of kidnap. To provide a professional security service it is imperative that security teams and the ‘at-risk’ individuals themselves learn how to identify the signs that may precede an attack. By identifying a threat early, and pro-actively working in unison to increase awareness, the risk of a successful kidnap is drastically reduced. The preemptive action and early identification of possible hostile intent allow a security team to remove the client from danger or deter and disrupt the potential attackers. Why would kidnappers put a person or group under surveillance prior to an attack? What would the hostile surveillance teams be trying to achieve? Business executives when planning strategy utilizes the SWOT analysis model. This same model can be engineered to help identify what hostile individuals or groups will be looking for. Can we kidnap our target? How can we kidnap our target? When could we kidnap our target? Should we kidnap this target? Point four identifies that the hostiles may want to carry out the kidnap but realize that it is a hard target and therefore not worth the risk, OR as can be seen in the case study below, they may just adapt their attack and exploit the weaknesses they have identified. In March 1978, Former Italian Prime Minister Aldo Moro was being driven to work in a two-car motorcade in Rome, accompanied by five bodyguards. His Motorcade was ambushed and eleven members of the Red Brigade terrorist group ambushed him. As the motorcade approached a stop sign a car pulled in front and stopped suddenly. Moro’s car was following too close and struck the car, then Moro’s follow vehicle, also traveling too close, rammed into Moro’s car pinning his vehicle with no chance of immediate escape. Two men got out of the blocking vehicle and shot with pistols through the front side windows of Moro’s car killing his driver and bodyguard. Concurrently, a second attack element consisting of four men dressed in Air Italia uniforms that were stood on the pavement as if waiting for a bus pulled weapons from their flight bags and proceeded to fire at the remaining bodyguards. A third attack element of two terrorists jumped out from behind bushes (possibly within a car) and pulled Moro from the car and put him into a waiting vehicle. The terrorists then escaped with preplanned and strategically positioned vehicles. The whole operation lasted no more than 30 seconds, involved eleven terrorists who fired between 80 and 90 rounds and killed five bodyguards. Yet the build-up and preparation were far more detailed and time-consuming. Through prolonged covert surveillance and potentially a mix of human intelligence sources the terrorists had identified the strengths and weaknesses of Moro and his security team and utilized these to focus on the opportunities and threats. The terrorists identified a pattern of life and common route that Moro and his team used. They had also noted that the drivers of both his motorcade drove too close to each other and tailgated other vehicles and the Red Brigade planned to exploit that. They also noted that many airline personnel lived in the area of attack so adopted the air uniforms for cover. The terrorists did several other things that would have been gained through intelligence gathering operations. They slashed the tires of the flower vendor whose normal place of work was near the attack site, telephone lines were overloaded during the attack and vehicles were positioned for a getaway. There are many conspiracy theories surrounding his capture and detention, whatever the true story, fifty-five days after his abduction Aldo Moro was found shot to death in the trunk of a car in Central Rome. It is interesting to note that according to later terrorist declarations, in the months before the kidnapping they had instead envisaged the possibility of kidnapping another leader, Giulio Andreotti. This was abandoned once they deemed that Andreotti’s police protection was too strong. Sourced from: Just2Seconds: Using Time And Space To Defeat Assassins. 2008, Gavin De Becker, Tom Taylor and Jeff Marquart. This case study identifies how focused surveillance can be utilized to identify and exploit weaknesses and enable efficient and successful attack planning, even against a defended ‘hard’ target such as a Former Italian Prime Minister. Is there security, are they aware, are they armed, are they any good? How do they travel and by what means? Do they drive, what do they drive, is it armored? Do they have good travel security in place? What routes do they take to work, events, school? Do they vary routes? Are they forced to take the same routes? Do they have a family, is there family an easier target? Are they creatures of habit? Is there a pattern forming? If so what is the pattern? What are the weaknesses? Do they have employees, can we use them, can they provide us information, can we corrupt them? The hostiles, however, must have the capability to gather this information, it cannot just be plucked from the air. Where intelligence gathering and surveillance operations come into play, there are always limitations. The quality and type of hostile surveillance can vary greatly, it may be quick and basic observations by untrained and opportunistic gangs looking for the best time to strike, or it could be professional, criminal organizations carrying out effective and focused intelligence gathering prior to a kidnap or assault. All the above factors will determine how capable a group is of carrying out effective and covert surveillance without detection, whilst still obtaining all the necessary information. Many terrorist and criminal organizations may not have the technical and practical expertise to carry out a high level of surveillance that is required to defeat good anti and counter surveillance procedure. They may only have one or two people with limited skills and resources to observe their target compared to the ten or twenty that a government team has available. Numbers do not necessarily mean results though, a team of three well-trained surveillance operatives with time and resources would be able to glean a surprising amount of intelligence, perhaps even within a few days. 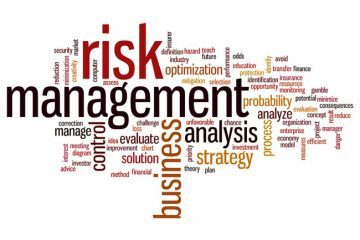 Specifically, when dealing with high-risk clients it must always be taken into account that a hostile group may in-fact have a good capability and a small professional team with time, patience and resources. The large range of limiting factors will, however, normally provide the security transportation team a much greater chance of identifying hostile surveillance, but two major factors must be taken into consideration. The first is that terrorist and criminal organizations normally have time and dedication on their side. They can pop in and pop out, they can choose their times and methods, they can also utilize human sources and agents. All the time slowly building up their intelligence picture. The second and most important to acknowledge and understand though is that accurately and covertly identifying surveillance is far from easy. The skills, experience, knowledge, and resources of the person or group carrying out the hostile surveillance. 2. The skills, experience, knowledge, and resources of the person or group carrying out the anti and counter surveillance. If there is a major gap between either of these then one side will falter. If hostile surveillance is unaware of the counter-measures in place they are far more likely to make a mistake, use sloppy tradecraft or become complacent and therefore be identified easier and quicker. If hostile surveillance becomes aware that they have been spotted it can lead to a number of possible actions including, impulsive behavior and an increased risk of action or attack. But, and this is more likely, they may just take a step back to then take two steps forward in the future, with better skills and resources. As we mentioned dedicated and professional teams will spot poor anti and counter surveillance early, they will drop out and only come back when they feel it is safe to do so. It is clear that a hostile surveillance detection is a vital tool in trying to minimize the risk of kidnap. Those that wish harm on others, especially professional and dedicated terrorist or criminal organizations will strive to gather intelligence on their targets. With this intelligence, they will look to exploit the weaknesses of a target and turn these into opportunities for a successful attack. Remember, if there is a gap between the skills, experience, knowledge, and resources of the hostile surveillance team and those of the security team, one side will falter.